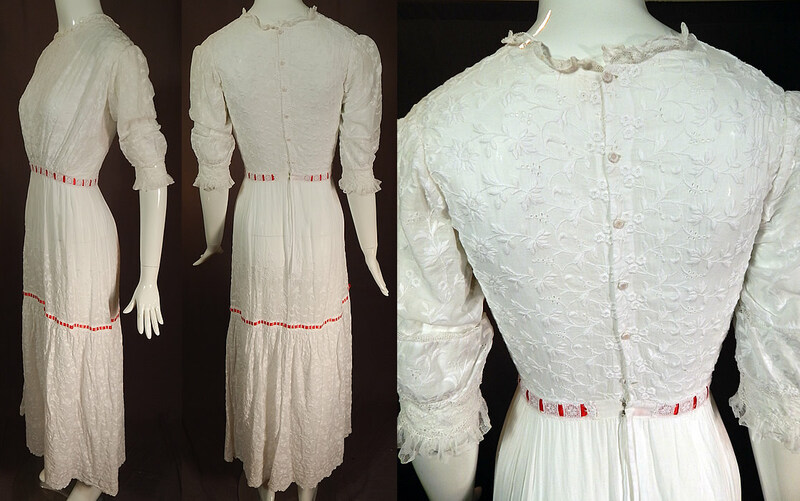 This vintage Edwardian era white cotton batiste floral eyelet embroidered lace lawn dress tea gown dates from 1910. It is made of a white cotton batiste lawn fabric, with a white raised padded satin stitch hand embroidery work whitework densely done in floral vine leaf design and eyelet drawn cutwork accents. 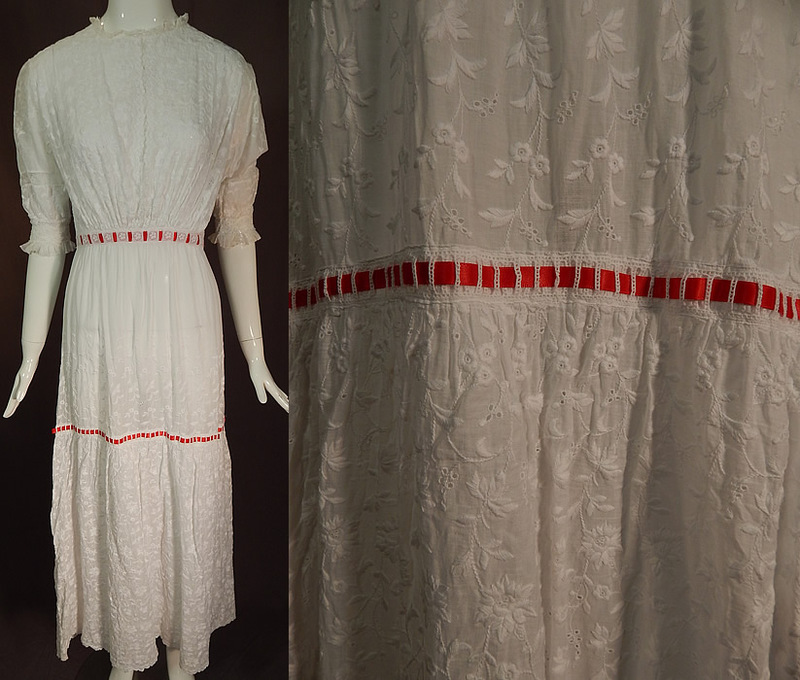 This exquisitely embroidered lawn dress is a long tea length, with a lace trim neckline, lace trimmed fitted cuffs short sleeves, a red ribbon accent woven through the waistband and skirt, tiny crochet button closures down the back and is lined only in the skirt with a cotton petticoat sewn inside. 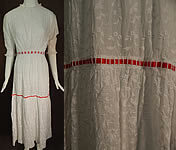 The dress measures 53 inches long, with a 36 inch bust, 24 inch waist and 12 inch back. It is in excellent condition. 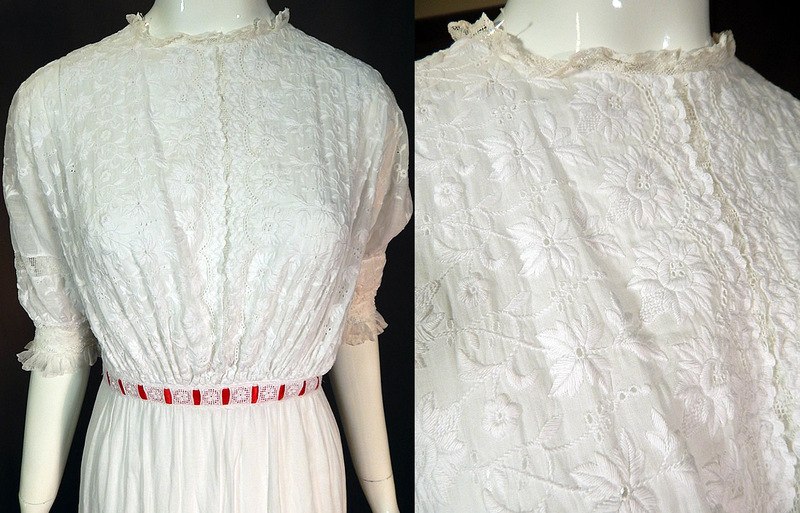 This is truly a wonderful piece of wearable antique lace art which could also be worn as a wedding or graduation dress!